（The Yomiuri Shimbun December 26, 2014） It was 80 years ago on Dec. 26 that the Yomiuri Giants were established as Japan’s first professional baseball team. To commemmorate the anniversary, we present the recollections of two of the team's greatest legends, Shigeo Nagashima and Sadaharu Oh, on Japan pro baseball’s most historic home runs. 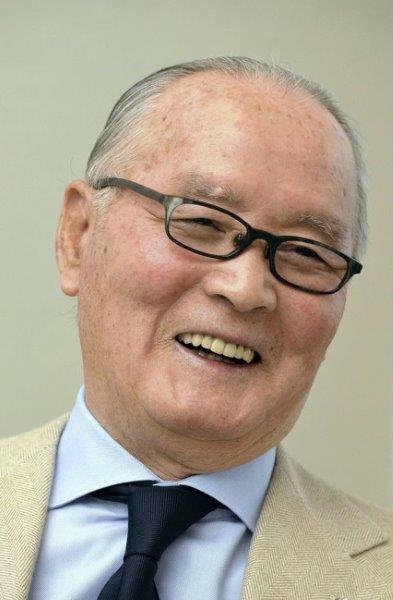 Nagashima talks about his dramatic, game-winning home run against the Hanshin Tigers on June 25, 1959, in the first-ever game attended by a reigning emperor, while Sadaharu Oh discusses the home run on Sept. 3, 1977, that gave him an all-time record of 756. Nagashima was born in February 1936, 14 months after the founding of the Giants, in the town of Usui (currently Sakura), Chiba Prefecture. Beginning the game with a ball handmade by his mother with cloth wrapped around marbles, he grew up to star at Sakura Ichiko High School and Rikkyo University before joining the Giants. The game of the century, the story of which is still handed down from generation to generation, was in the second year of his career with the Giants. The dramatic moment came in the bottom of the ninth inning with the score tied 4-4. Nagashima, who had homered in the fifth inning, blasted the fifth pitch from reliever At the time, the Tokyo Big 6 university league was very popular. But pro baseball started evolving into the national sport, sparked by the landmark game that ended with such a dramatic shot. A disappointed Murayama put his hands on his knees with his head down. Nagashima never noticed. In 1977, the all-time home run record of 755 was held by Hank Aaron, the slugger for the Milwaukee and Atlanta Braves. 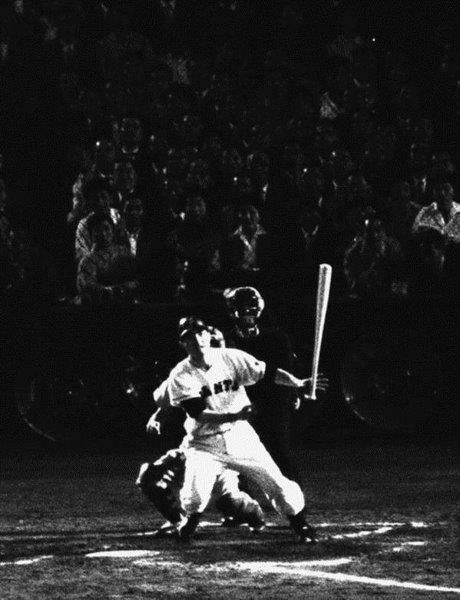 Sadaharu Oh, known for his distinctive “flamingo” style of batting, did not think the home run that put him past Aaron was anything special. “As expectations had been so strong, I failed to homer in two straight games, then finally hit one in the third game. It was a big relief to finally get it,” he said. Oh also became Japan baseball’s all-time leader in walks, and as he approached the record, crowds had no pity on a pitcher who issued the slugger a free pass. Oh’s line drive took no more than four seconds to reach the stands, during which Oh began running with his arms spontaneously raised. Not only the entire stadium, but the nation as a whole seemed to be celebrating the splendor of that home run. Although the taste of hitting a homer was specially magnetic, Oh did not always aim for a homer. “A homer was just the result of my hitting; I never thought whether I could hit one, but instead I made a point of thinking how I felt and how the pitcher threw to me in the previous at-bat,” he said. “It can be said a batter must a good memory,” he said, adding, “While I was a player, I could remember all of the home runs I hit. So if someone asked who I hit No.415 off, I could tell them right away. In addition to sparking the popularity of pro baseball, the game marked the starting point for a rivalry between Nagashima and Murayama, who was 10 months younger than him. Murayama, an inside high fastball into the left stand, giving the Giants a sayonara walk-off victory. “My true feeling was that I would just innocently hit the coming ball. It was high and if I didn’t swing, it might have been a ball. But I was so focused, it still went out with a compact swing,” Nagashima said.